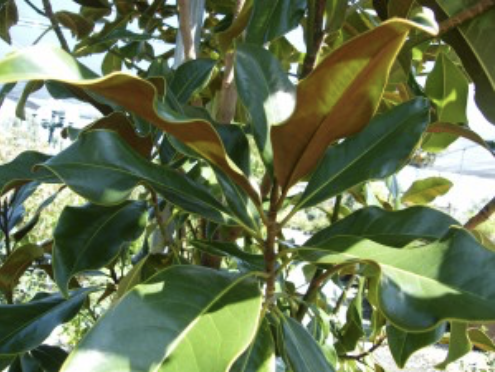 Trees and shrubs are the backbone of the landscape and should be the first things planted in the landscape. Proper selection will enhance a home’s appearance and increase property value while reflecting the homeowner’s style and personality. 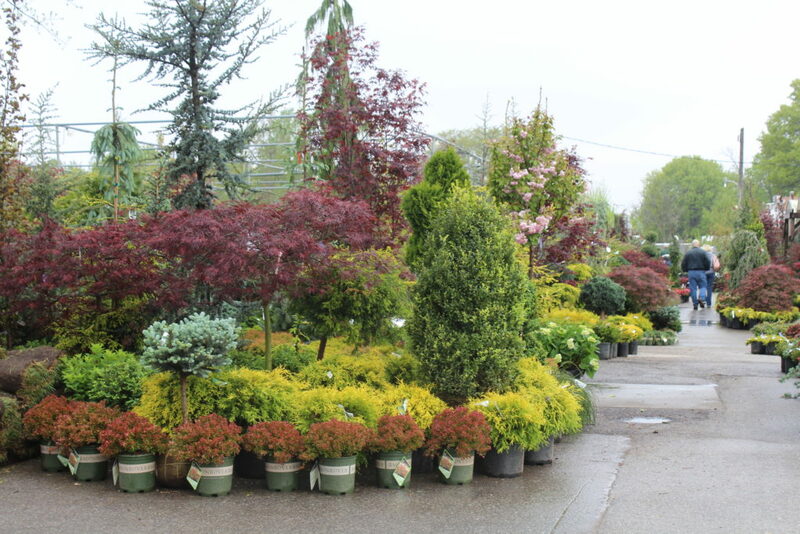 Flowering and non-flowering, needled evergreen and deciduous leaved, blue, green, bronze or chartreuse color, enormous giants and petite ornamentals; many different varieties of trees and shrubs exist and placing the right plant in the right location is essential for success. Ornamental Trees are grown for their beauty and add that finishing touch to the landscape Ornamental trees can be either evergreen or deciduous and have some striking feature of interest, such as unusual bark, colorful berries, beautiful flowers, striking fall color or an interesting shape. Shade Trees are the giants of the landscape. Proper selection will enhance a home’s appearance and increase property value while reflecting the homeowner’s style and personality. 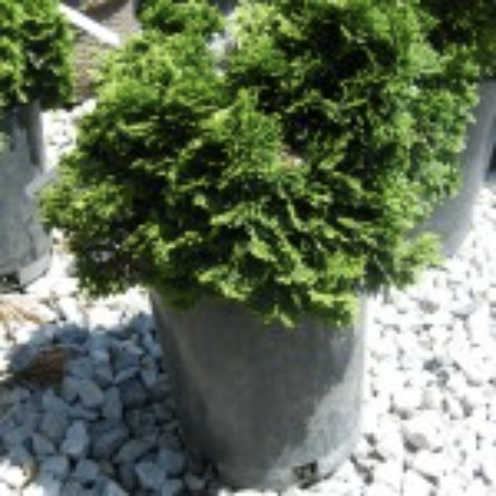 Let our trained nursery professionals assist you in selecting the perfect tree or shrub to complete your landscape. 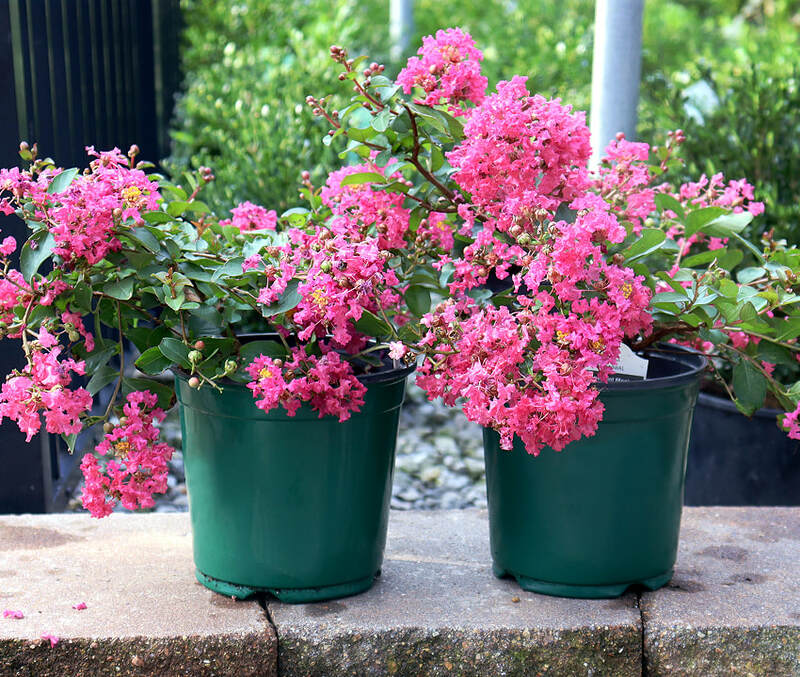 Flowering Shrubs add color and texture to the landscape. New, improved varieties are introduced every year and include options for sun or shade. 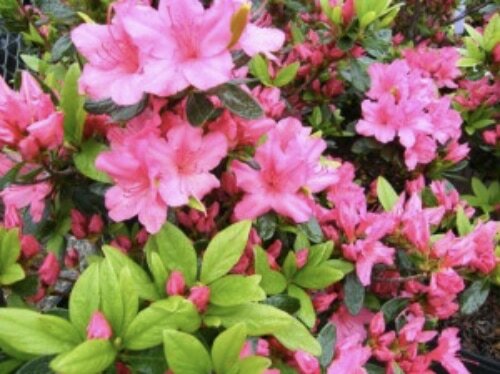 A mounded, compact flowering shrub with dark, glossy foliage for the eastern or northern side of the landscape. A spectacular showing of bright single or double flowers in spring and striking fall color. 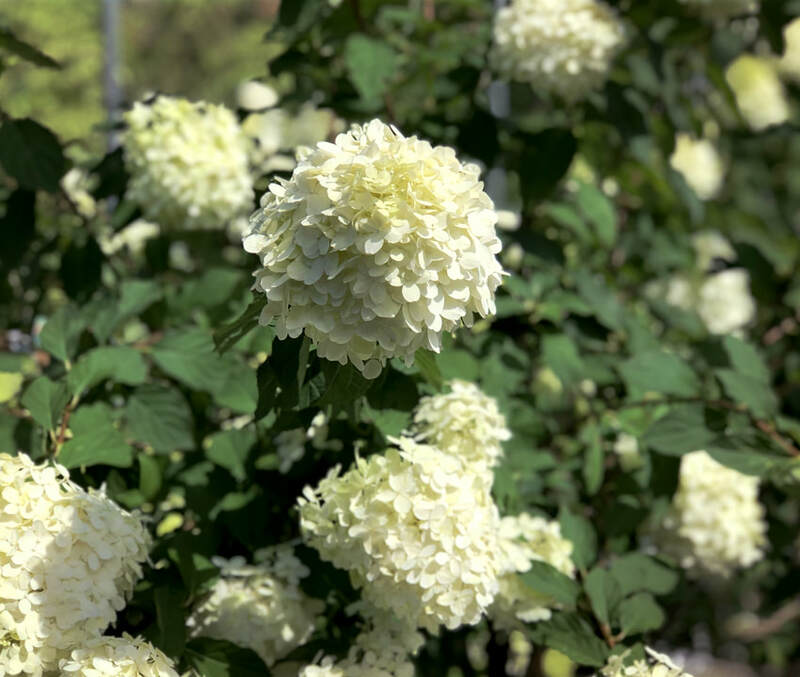 Commonly known as the shade loving mophead type of flower, new varieties of Hydrangea are tougher and can stand up to our summers even planted in full sun. We carry 30 varieties of Hydrangeas through the growing season and are always happy to show you our new favorites. An eye-catching flowering shrub! Showy blooms all summer on this dramatic, upright shrub for sun. 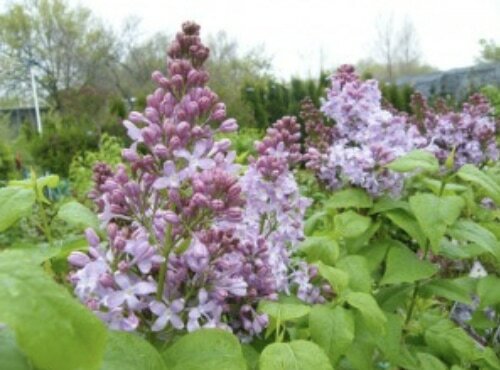 This extremely fragrant shrub is an old-fashioned favorite. Older varieties can reach heights over 10 feet, however newer dwarf varieties make it possible to enjoy the sweet aroma in almost any sunny spot. Roses are the “Queens of the Garden” and have been a classic for beauty and fragrance in the garden for hundreds of years. There are many types of roses – each having different characteristics. Hybrid Tea: This is the traditional cutting rose. Long straight stems with a single flower on top. The most fragrant of all roses. Grandiflora: This cross between a Hybrid Tea and a Floribunda produces clustered blooms on long stems. A tough rose that can reach heights up to 7 feet. Climbers: These roses do not actually climb but instead grow super long canes that can be tied to a support. Miniature: A compact rose that is extremely hardy with small perfectly shaped blooms. 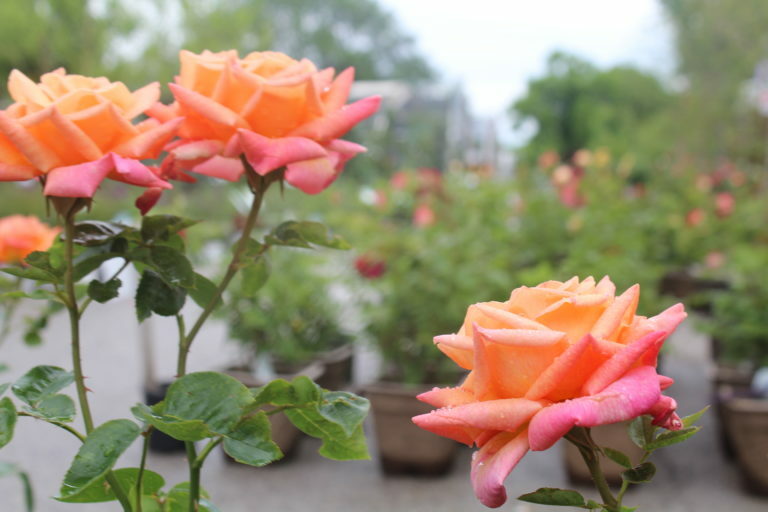 Shrub: The most popular category of roses for its easy care and heavy blooming. Many newer shrub roses are not grafted but on their own root, making them more resistant to insects and disease. David Austin: A type of English rose developed for a strong fragrance on a tougher plant. Known for it’s large “cabbage bloom” flowers. Feed…feed…feed! Roses are very heavy feeders. Use a granular, slow release fertilizer, like Family Tree Slow Release or Rose-tone every 3-4 weeks or the Family Tree Nursery water soluble fertilizer once a week. Most roses are grafted – meaning the desirable rose has been grown on a much hardier wild rose stock. The lump at the base of your plant where these two meet is called the bud union. This bud union should be protected from freezing temperatures. Whether you prefer rose cones, collars or simply mounding mulch around the base of the plant, it must be done as soon as the ground freezes. Many gardeners have lost their intended rose only to have a rangy wild rose reappear in its place. A family of delicate looking, fern-leaf evergreens; ranging in size from ground-hugging varieties to tall, stately giants, and in colors of green, blue or chartreuse. More familiar to those in the Northwest, Chamaecyparis, or False Cypress, are remarkably adaptable to our climate and provide a unique, almost Asian-like influence to the landscape. We carry a large variety of fruit trees for your consideration. Your available space is a key factor in what fruit you choose to grow. 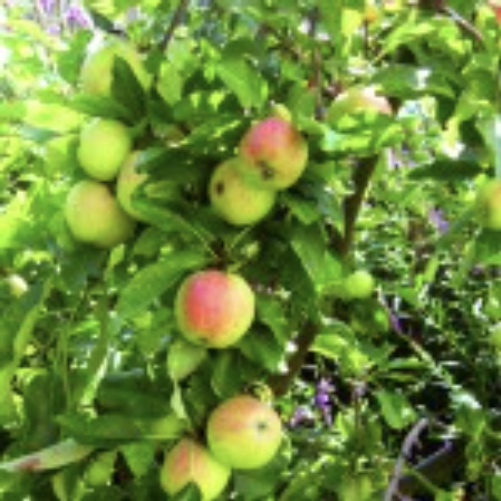 Don’t dismiss fruit trees for smaller spaces – most of the trees we carry are semi-dwarf and only grow between 12’ and 15’ at maturity (the most popular sold these days). Make sure you read the descriptions well, and ask our nursery professionals about the mature size and whether your tree requires a pollinator to set fruit.